WOW! 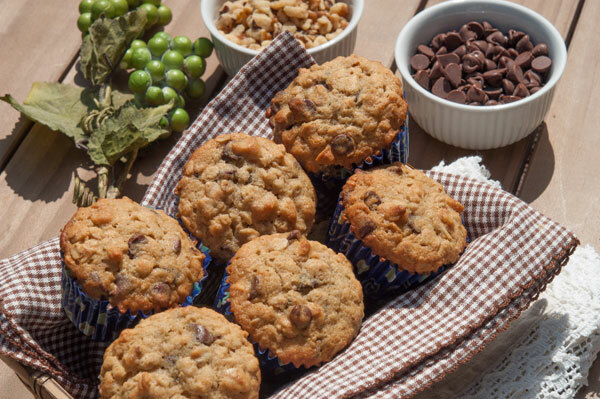 This recipe in the Taste of Home Ultimate Guide to Fall Baking magazine claimed that these Chocolate Chip Oatmeal Muffins were “the best they’ve ever tried”! THEY WERE RIGHT! I am literally a cooking and recipe magazine freak. I buy copies of the actual magazines, and online subscriptions for my Ipad to look at on the go. I love them on the Ipad, but still like the hard copy to look at on those lazy days on the porch. This recipe made the price of the book more than worth it! Delicious. Moist with just the right amount of chocolate chips. I even added a little chopped walnuts for crunch. 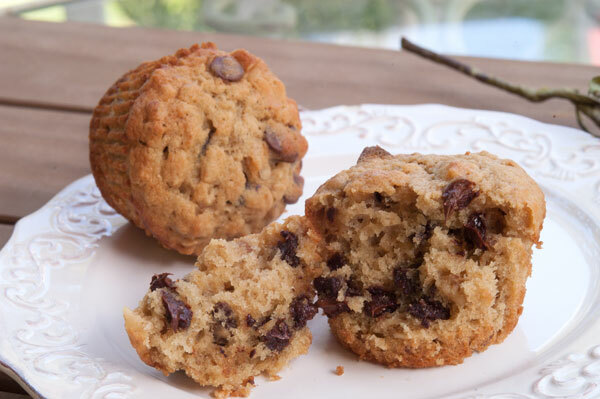 Tastes just like a chocolate chip cookie in the form of a muffin. These are perfect for this time of year to send with the kids for a snack, or perfect for an after school snack. They’re perfectly moist, so will keep for days without drying out. What I love about this recipe is it’s full of Old Fashioned Oatmeal, walnuts, applesauce and chocolate chips. 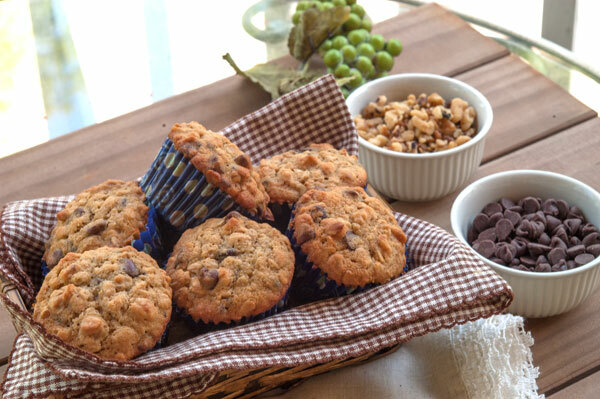 The recipe calls for semi-sweet chocolate chips, but you can substitute with dark chocolate chocolate chips. 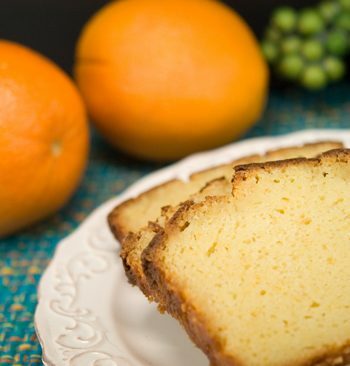 And this recipe is so easy to make, it literally takes 5 minutes to mix. 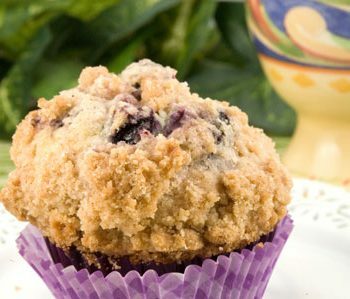 I hope you can see how moist these muffins are from this picture! Put these on your recipes to make short list. 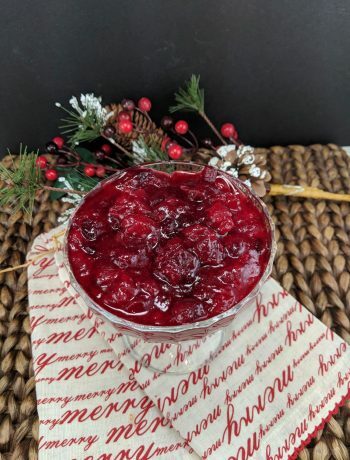 You’ll be so glad you found this recipe like I am! Unbelievably moist! 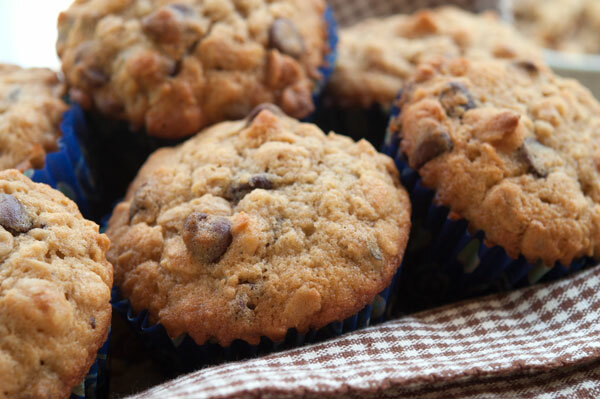 Tastes just like a chocolate chip cookie in a muffin! In a large bowl, cream butter and sugar. Beat in egg. Combine dry ingredients; add alternately with applesauce to the creamed mixture. Stir in oats, chips and nuts. Fill paper-lined muffin cups three-fourths full. Bake at 350° for 25 minutes. Yield: 12 muffins.